It's Trixie from Pink Glitter Studio and I'm excited to share another project with you today. 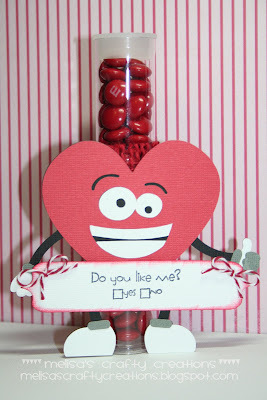 I made this cute little Candy Tube Treat! I used Jaded Blossom's Clear Tubes and Valentine Candies. The Candy Tube Holder is from SVG Cutting Files. Hello everyone! 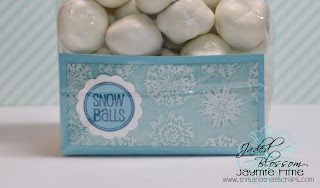 It is Crystal from Crystal's Creative Corner posting today for Jaded Blossom! 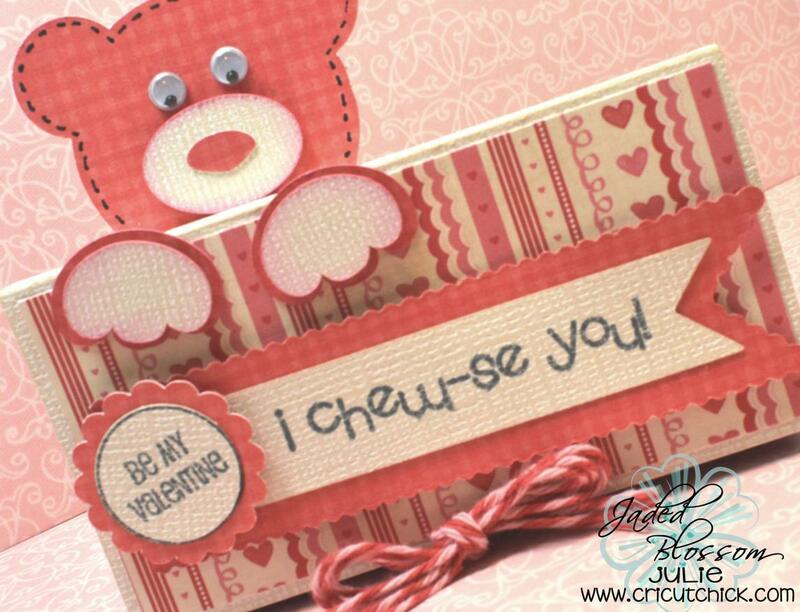 I am excited to share a Valentine's Day card I made..take a look!! I added a pack of Pop Rocks! to the inside for a fun treat! You won Simple Sayings Stamp Set (in clear stamps). 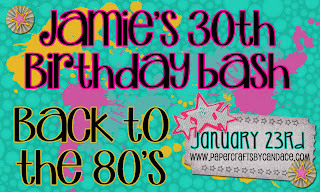 Please contact admin@jadedblossom.com with your information and subject "Winner of Jamie's 80's Themed Birthday Blog Hop! TGIF everyone! Melisa from Melisa's Crafty Creations here today to share a cute little project with you. But before I do, I want to thank Candace & Michelle for having me as their January Guest designer. I have had so much fun using their stamps and I have made some new friends as well. Now here is my project. I used the Heart Pillow box from the Online Silhouette store and filled it with some chocolate lips. The sentiment is from the Got Candy? stamp set. I used Timeless Twine's Cherry Red Twine to close the pillow box. I also used Pretty Paper, Pretty Ribbons Sentiment Spots 1 for my sentiment shape. Thanks again Candace & Michelle. 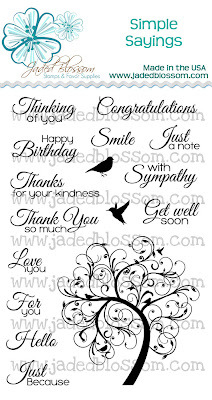 Today I used Sweet Birthday Wishes for my card. 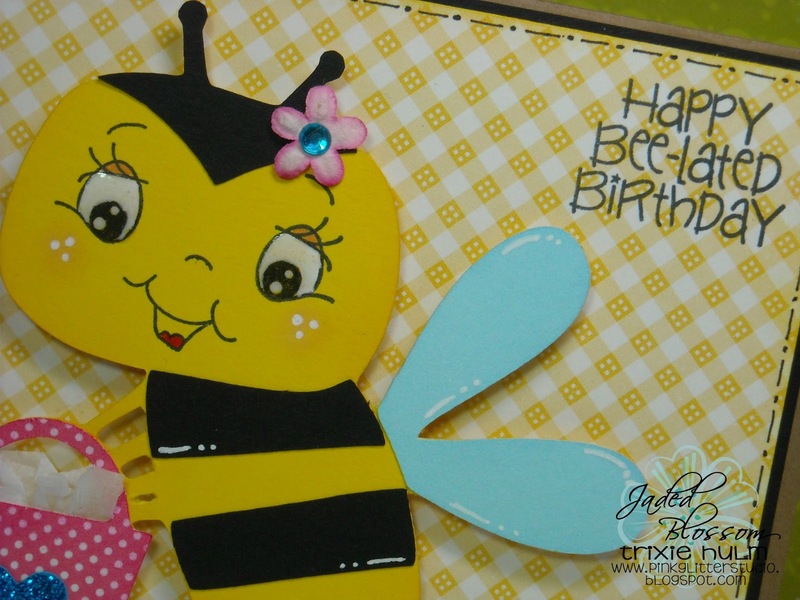 I made this super cute slider card. It's a Popples, one of my favorite toys from the 80's! Here's the slider card pulled open. 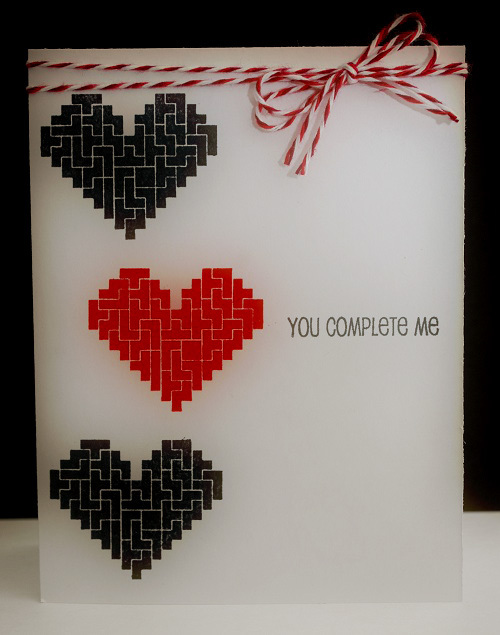 I just love this style of card! Well today is my 30th Birthday, and Candace and Michelle put together an awesome hop for me so make sure you go check it out. It all starts HERE at Candace's Blog. Hi Everyone, It's me Kate here with a little treat for you. Hello, Hope that everyone is having a Wonderful Weekend. Thank you so much for joining our First Challenge of the Year. 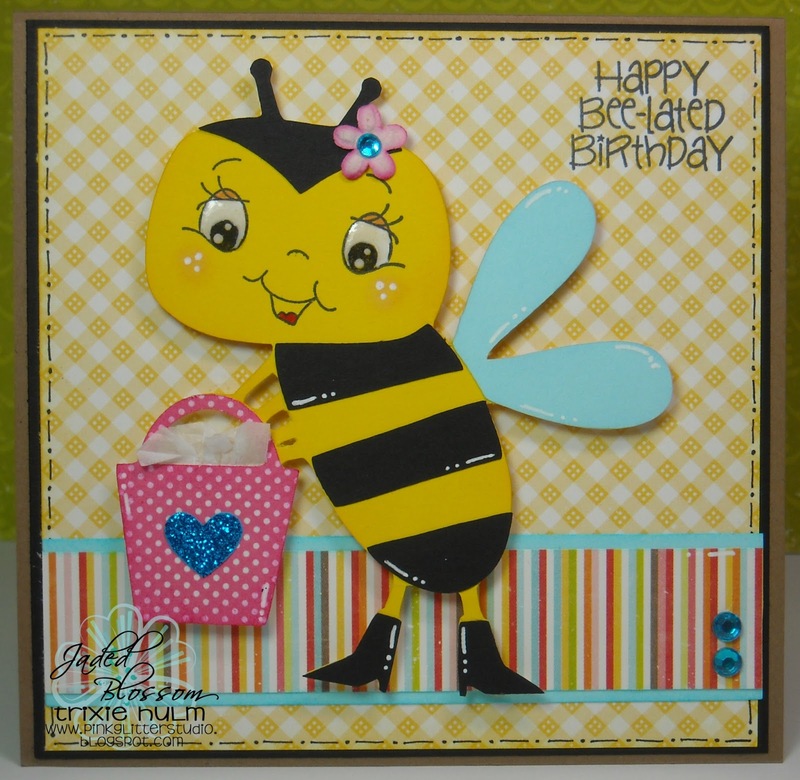 We had a lot of participants all your creations using Jaded Blossom Stamps were Amazing. Thanks to Random.org or we would be in deep trouble because it is really hard to just pick 1 winner. 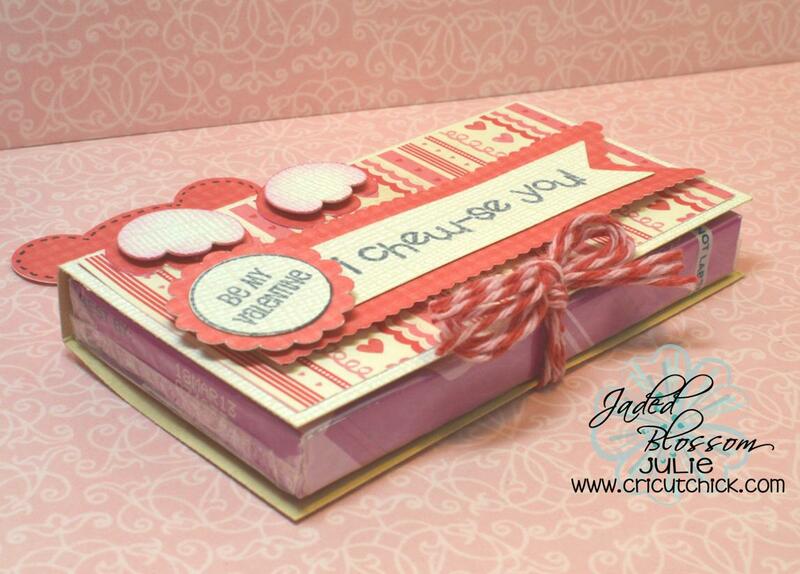 Tanya used Trust in Cupid and Valentines Candies, which you can find at our Store. Congratulations Tanya, please contact us at admin@jadedblossom.com. Now have fun crafting and don't forget to come back tomorrow to see what our DT Ashley has in store for us. TGIF! 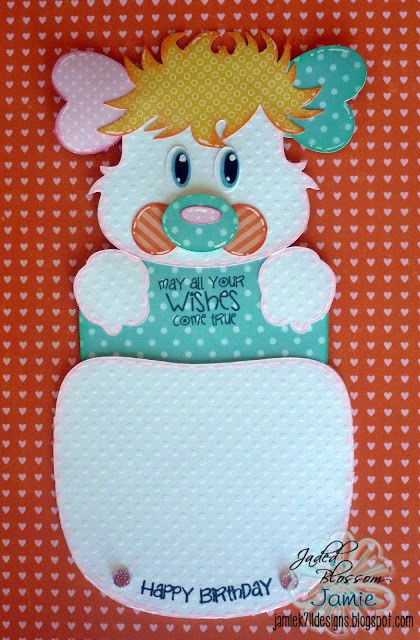 Melisa from Melisa's Crafty Creations here today to share this cute little guy with you. I'm so happy today is Friday. I have been wanting to share this with you since I made it. And today I can finally share it with you. I used a 1x6 inch clear tube and filled it with red M&M's. Then I wrapped it with the Red Burlap that came with the Birthday Kit. 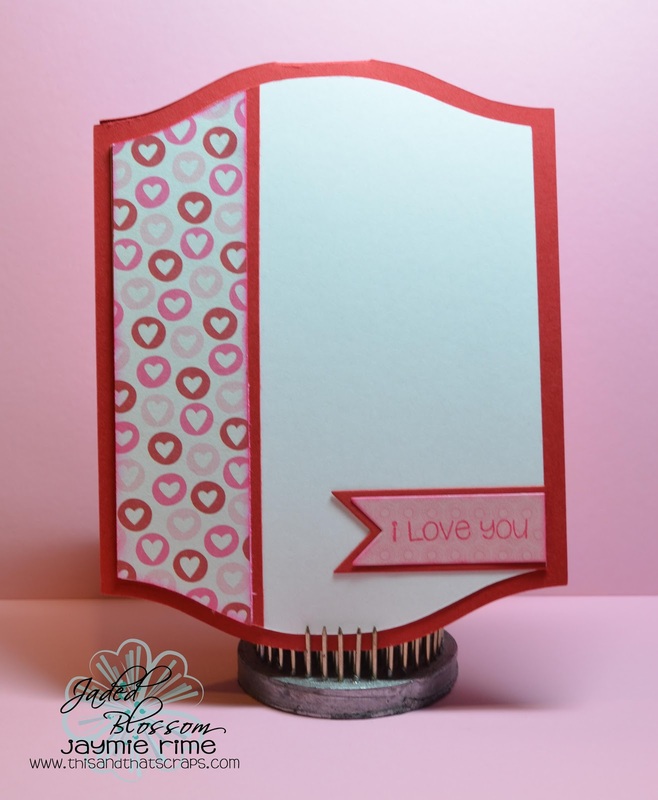 I used my favorite stamp set Funny Valentine for my sentiment. 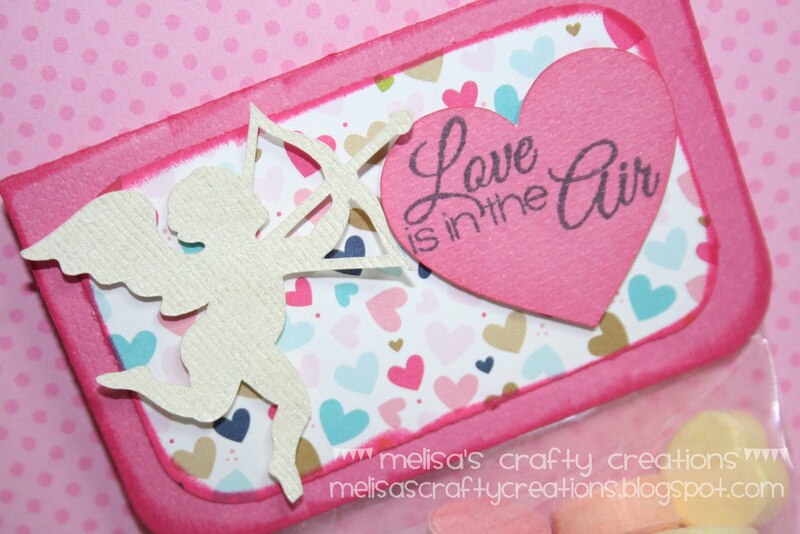 I used Pretty Paper, Pretty Ribbons Heart Guy Cutting Files for the Heart Guy. For the banner in his hands I used the Sentiment Spots 1. The twine is Cherry Red from Timeless Twine. Isn't he a little goofy looking guy? I love the expression on his face. Don't forget the Anything but a card challenge is still going on. 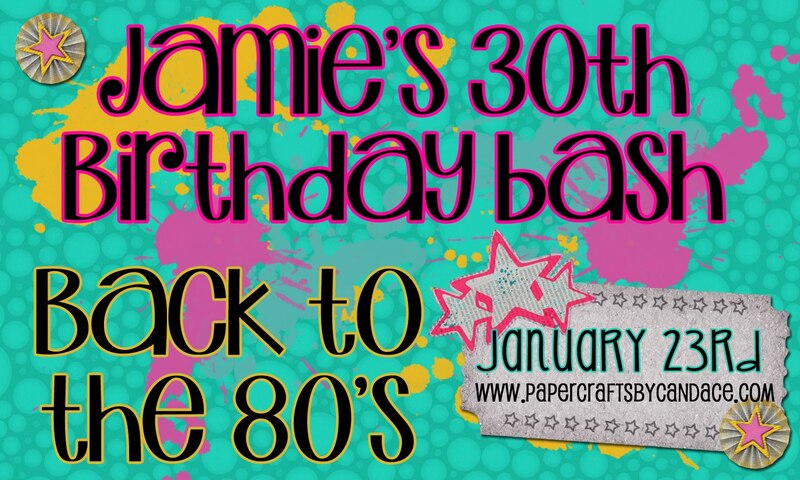 You have until Saturday 01/19/2013 to link up your project. I hope you'll participate. The winner will be announced on Sunday 01/20/2013. 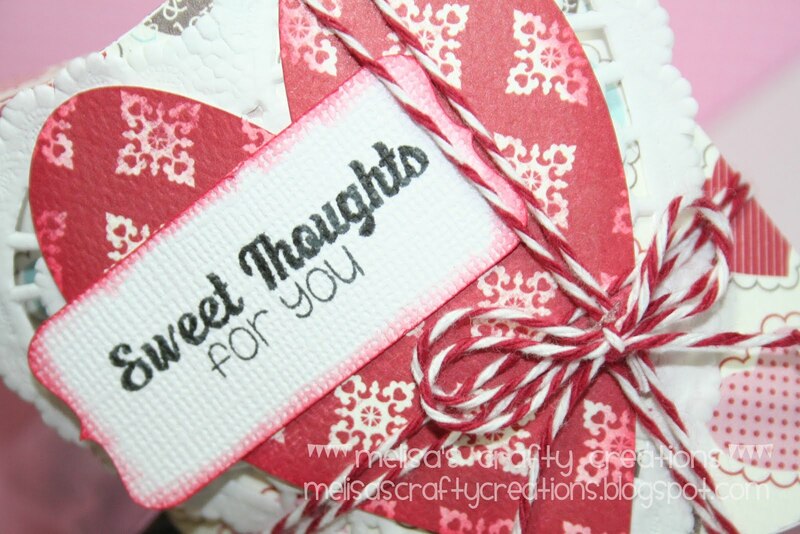 It's Trixie from Pink Glitter Studio and I have a card to share with you today. 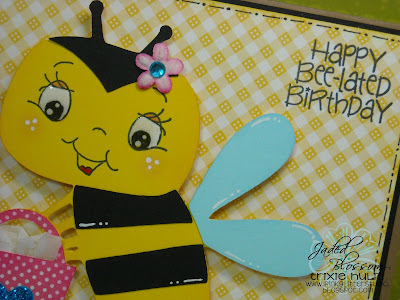 I made a Belated Birthday card using the Bee from the Birthday Bash Cricut cartridge. I stamped her face with the "Wide Eyed Kids" set from Peachy Keen. 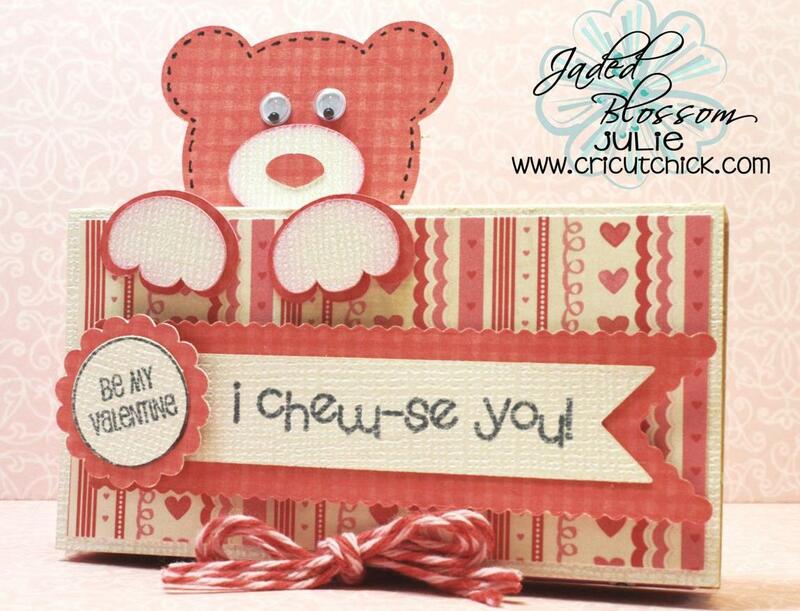 The sentiment is from the new "Love Stings" set from Jaded Blossom. I added some tissue paper to her bag and some blue stickles on the heart! I also added glossy accents to her eyes and a cute little flower. 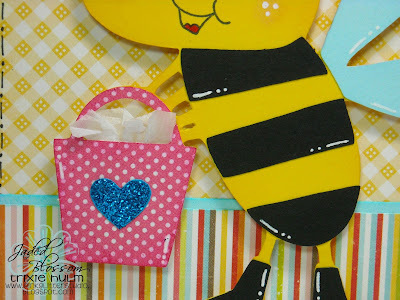 Don't forget to join our Monthly Challenge this month it's "Anything but a card". Hello everyone! Happy Tuesday! It is Crystal..and I am excited to share with you a fun valentine I created! The hog/pig is from "3 Piggies" file from Kadoodle Bug Designs. 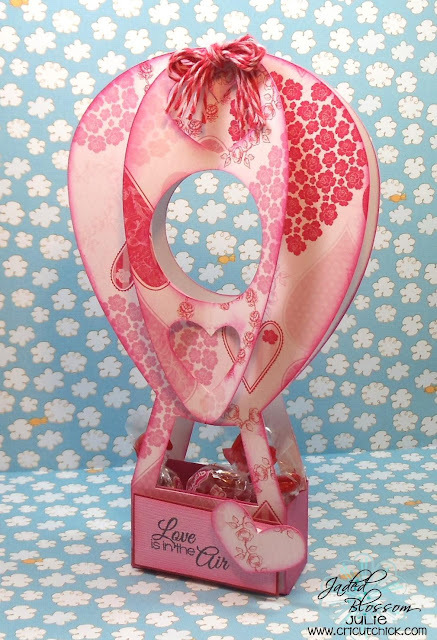 I put her on the Fancy Topper Die, and added the sentiment from Funny Valentine! How funny is that!? I love it! 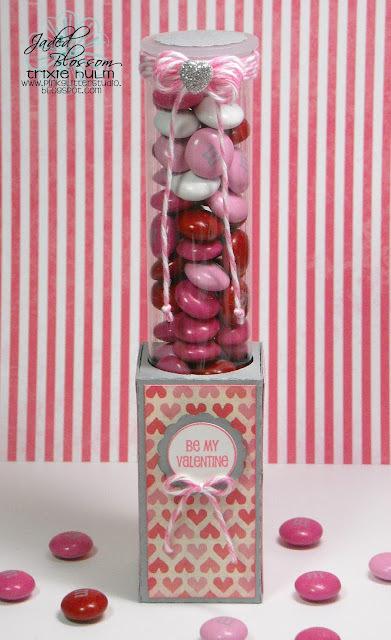 I used Wedding Candies and Valentine Candies for on the bottom of the Hershey's hugs & kisses. They are in the 3x4 favor bags. And added a little Peppermint Stick Trendy Twine for her bow! 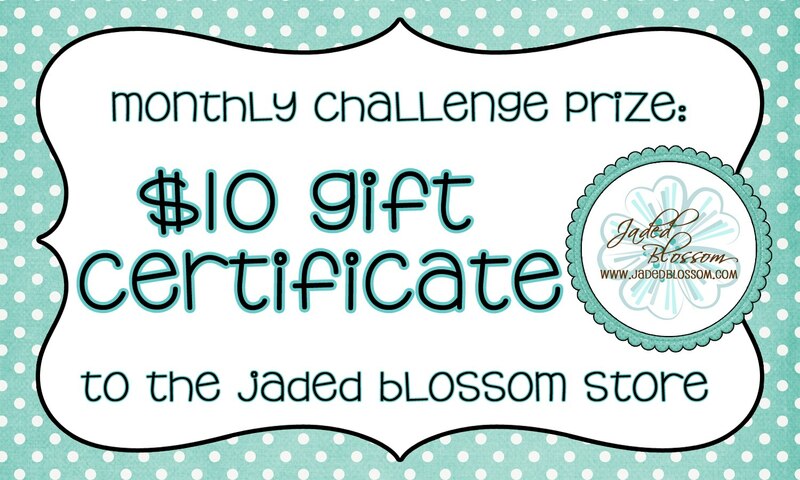 Don't forget to join the Jaded Blossom Challenge! You can post your project (ANYTHING but a card) HERE! Melisa from Melisa's Crafty Creations here today. I made a cute little treat bag to share with you. 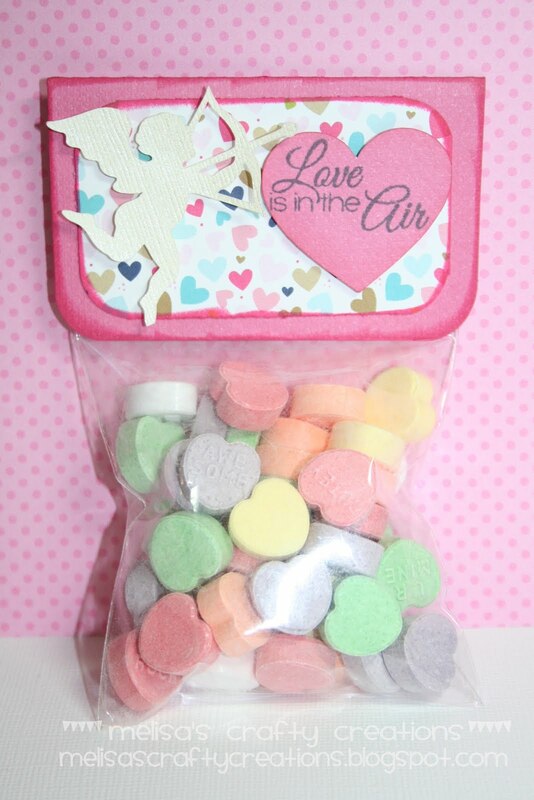 I don't know about you but I love, love, love the tart conversation hearts. Every year I buy a big bag of them. This year I couldn't wait to use them for one of my treat bags. I used a 3x4 inch clear bag and filled it with the tart conversation hearts. 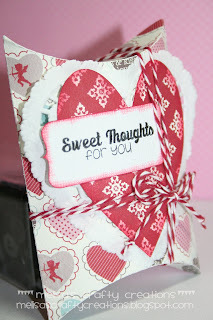 I used the Simple Sayings Valentine Edition stamp set for my sentiment. I think this sentiment goes perfect with cupid. 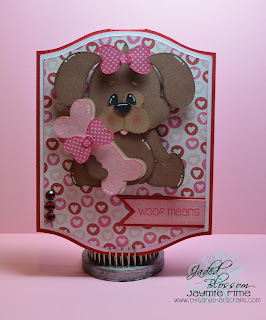 Don't forget to join in this month's "Anything but a Card challenge" You can see my project for the challenge HERE. 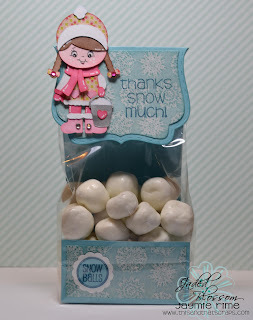 and I just wanted to share a winter "Thank You" treat I made. 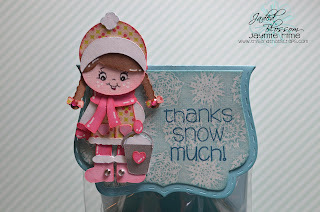 "Snow Much Fun"(original artwork by Kristi W Designs). Well I hope you enjoyed my little treat. But first... It's my DT Sister, Kate's Birthday today! We have a surprise hop going on for her and would love for you to hop along with us. 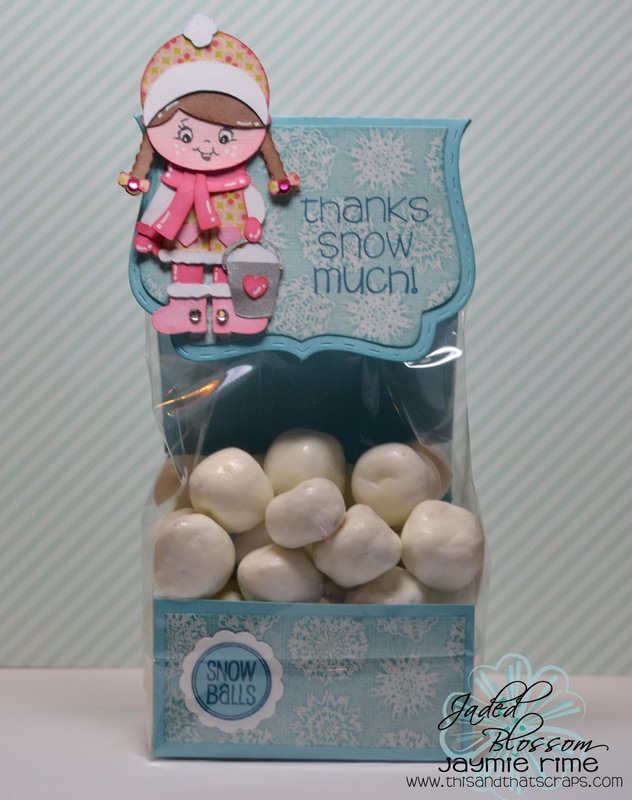 It all starts HERE at Michelle's blog and of course there is some blog candy to win as well. 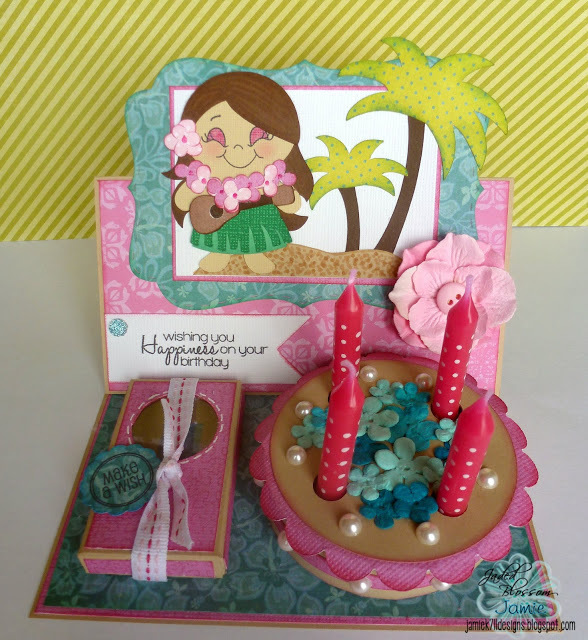 I used the Fancy Topper Die for the background behind the Hula Girl. Then I used the Flag Die with a sentiment from Sweet Birthday Wishes. I also used Birthday Candies on the candle box. Find more details on my card HERE. Thanks so much for stopping and don't forget to hop along with us for Kate's Birthday! Hello it's Kate from Kate's Creative Corner, here with you today not with 1 but 2 cards for those easy Valentine's Day Card that you need to send out. 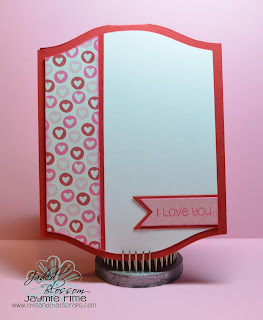 Don't forget to join our Monthly Challenge this month is "Anything But a Card"
Hi everyone! Ashley here from The Glamorous Side Of Scrapping and I'm so excited to be sharing my project today! 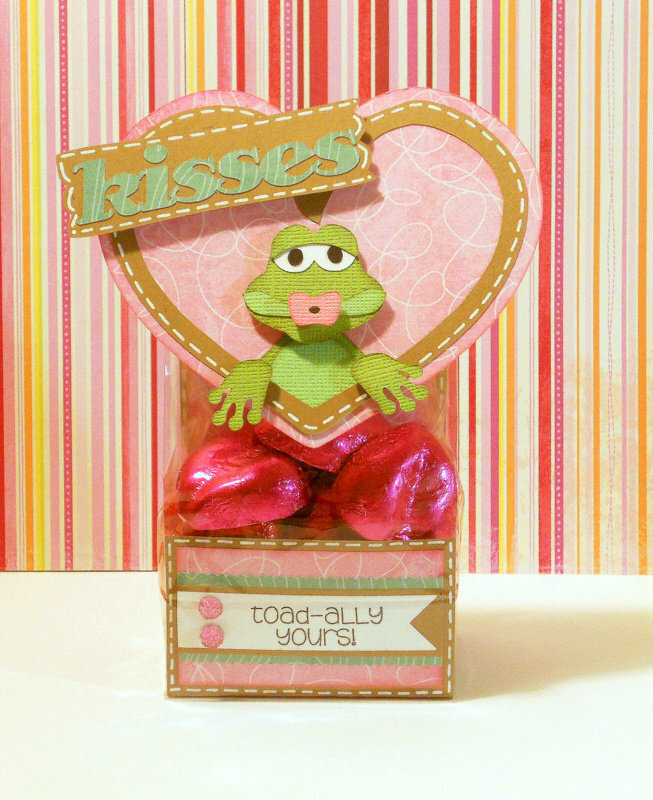 I created a toad-ally cute Valentine's Day treat! 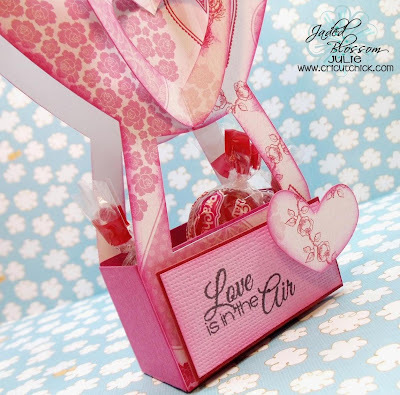 From Jaded Blossom I used Funny Valentine stamp set, a Gusset Bag, Flag Dies and Flag Dies 2. 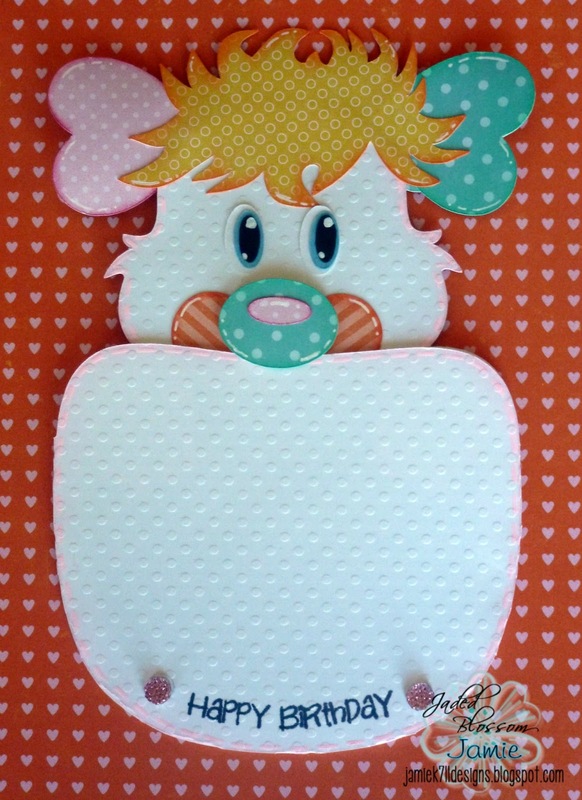 The adorable frog pattern is from Designs On Cloud 9. More details can be found on my blog! 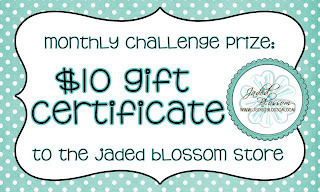 Thanks for stopping by and be sure to check out the Jaded Blossom Anything But A Card Challenge that started yesterday.